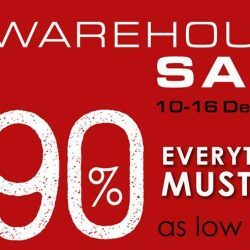 10 - 16 Dec 2018 Epitex: 2018 Year-End Warehouse Sale with Up to 90% OFF on Bedlinen, Pillows, Quilts, Towels & More! 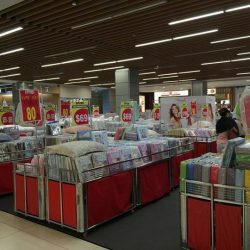 Epitex is having their 2018 Year-End Warehouse Sale from now till 16th Dec 2018 at Atrium Velocity Novena Square! Enjoy up to 90% off on Bed Linens, Pillows, Quilts, Towels, Floormats and more. Prices start as low as $5 only! All must go! JOINT ATRIUM SALES By Epitex @ IMM level 1. From 27/6 - 3/7/16, 10am to 10pm. With brands like Echan and Epitex, there's something that will definitely suit you.